Bethan James, a former teacher and youth worker, has written a number of books for children. She lives with her husband and children in a rural part of England. Honor Ayres' first book, A Child's Bible, topped 100,000 copies in its first printing. Married with three young children, she is actively involved in her church in the south-west of England. 101 Busy Bible Activities by Bethan James was published by Barnabas in March 2014 and is our 9557th best seller. 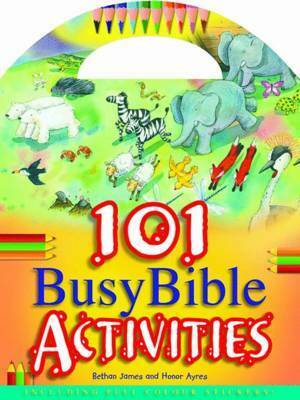 The ISBN for 101 Busy Bible Activities is 9781841017228. Be the first to review 101 Busy Bible Activities! Got a question? No problem! Just click here to ask us about 101 Busy Bible Activities. What age Gp is 101 busy bible activities for?